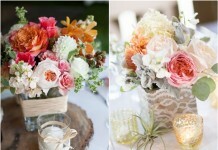 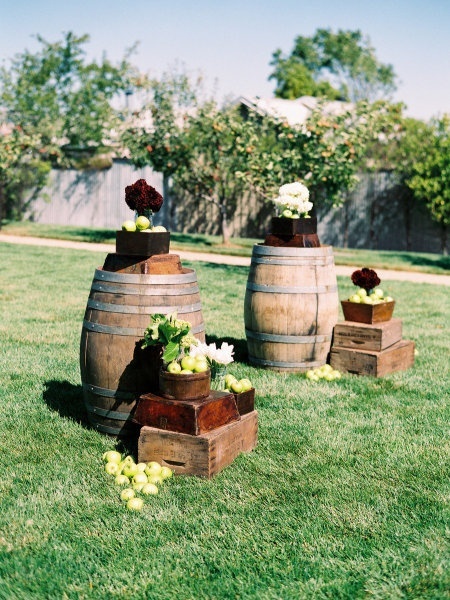 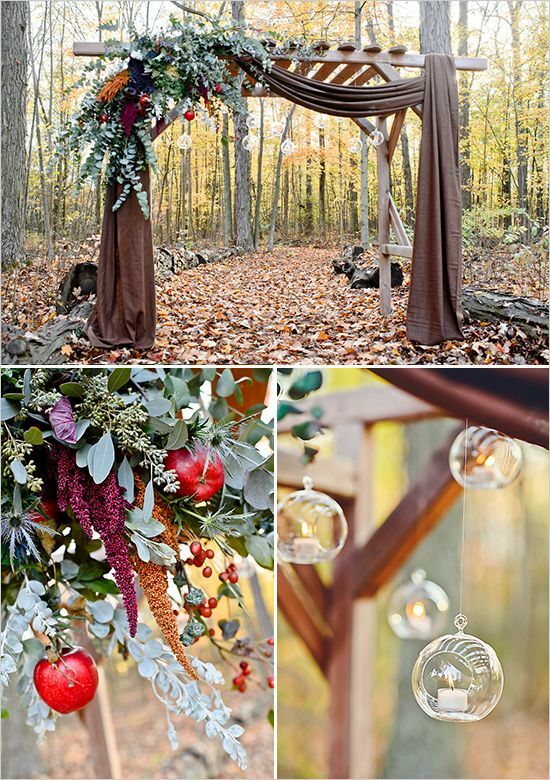 Fall weddings are fascinating! 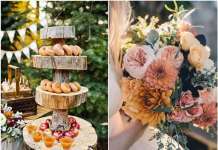 I love the adorable autumn colors like crimson, orange, chocolate, yellow, green and burgundy for inspiring fall wedding décor. 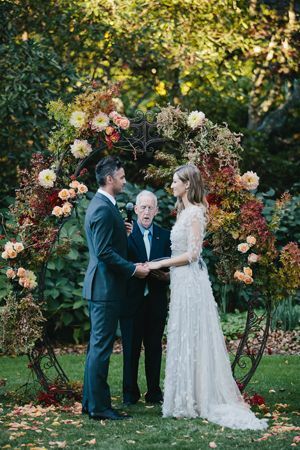 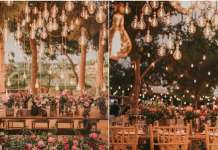 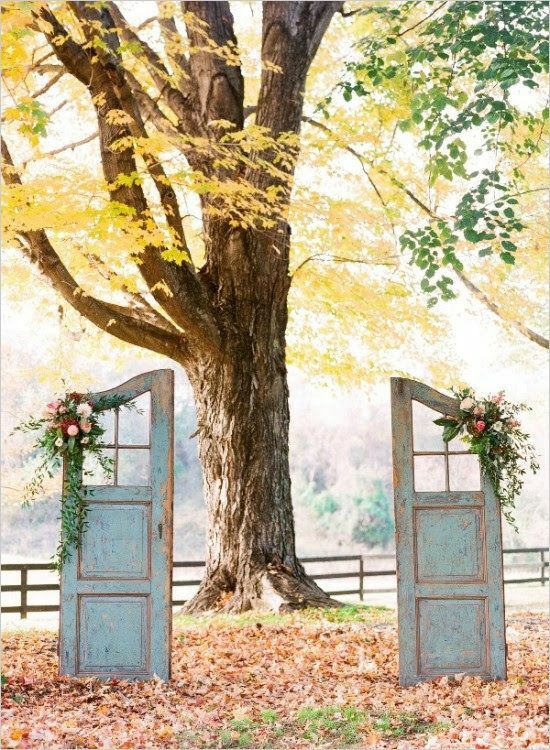 Many of us choose outdoor fall weddings if the weather allows as trees with colorful leaves and a natural carpet of them compose the best wedding decorations ever! 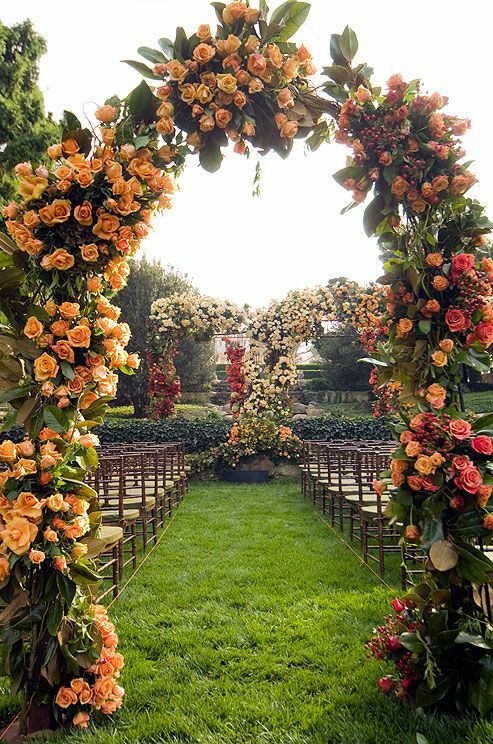 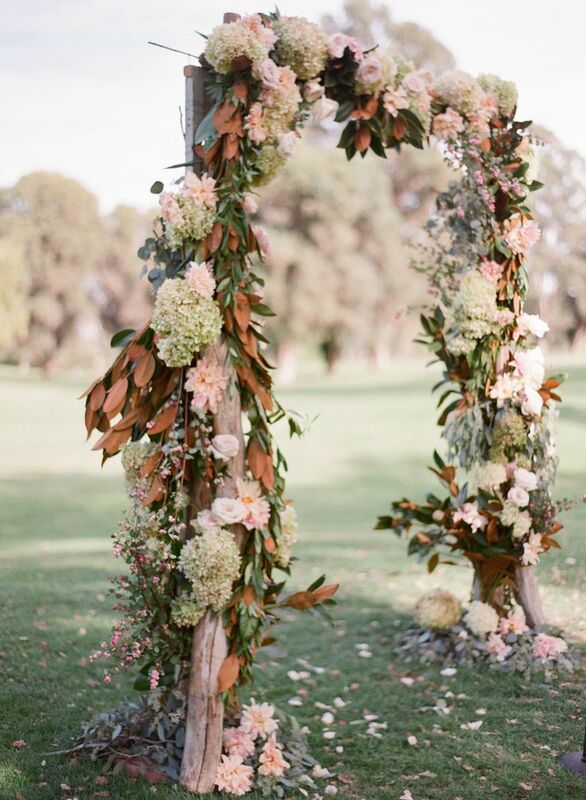 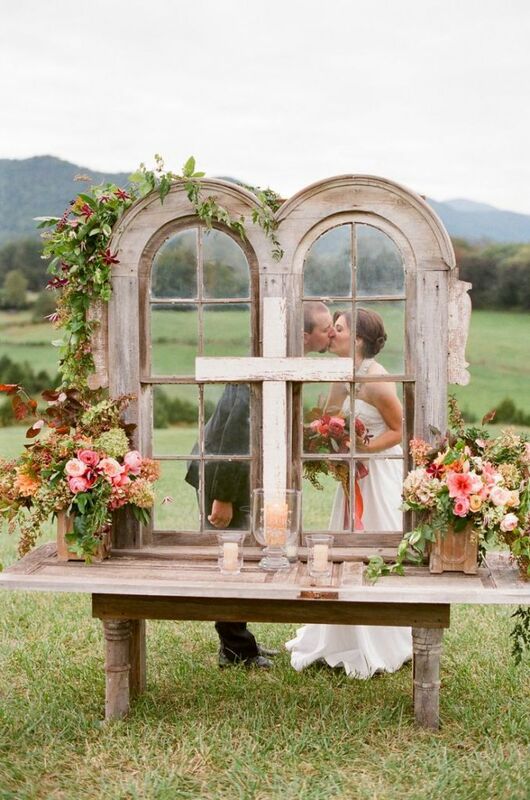 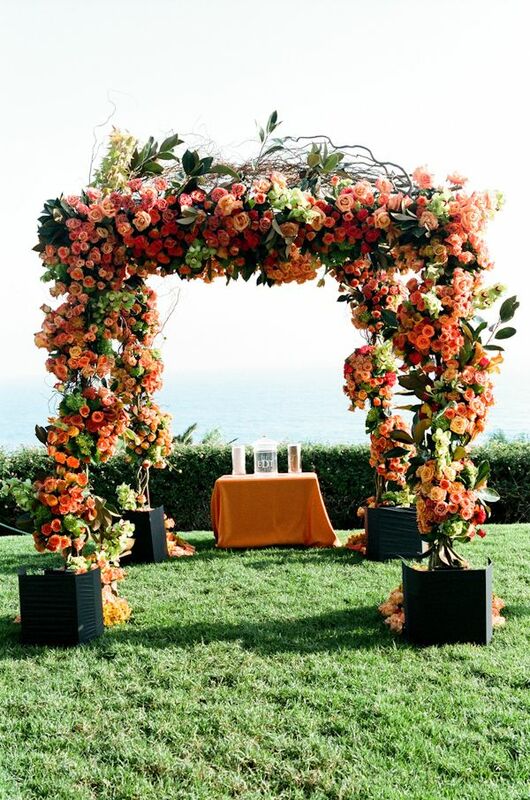 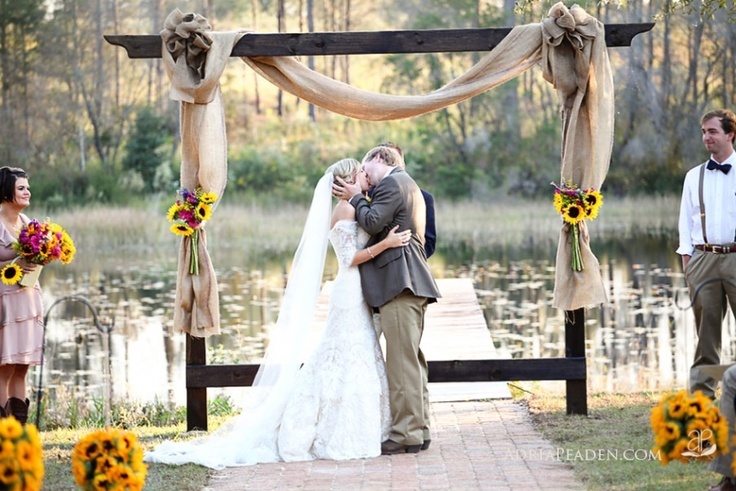 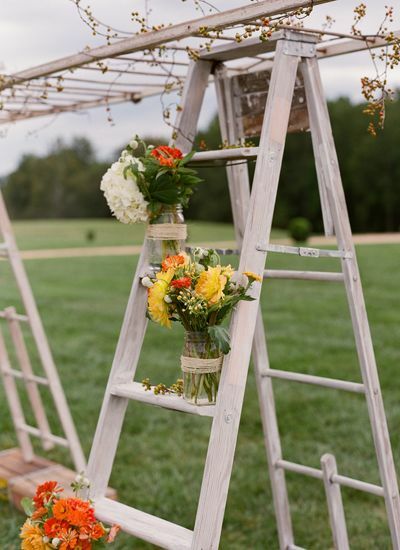 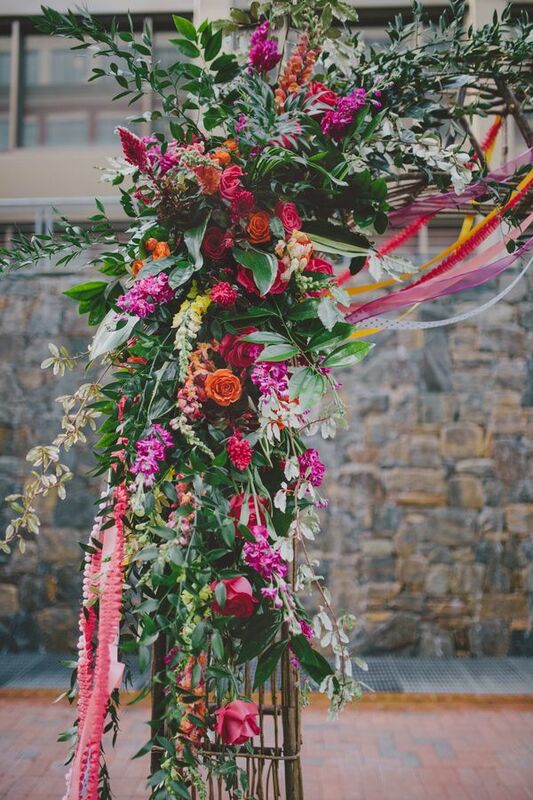 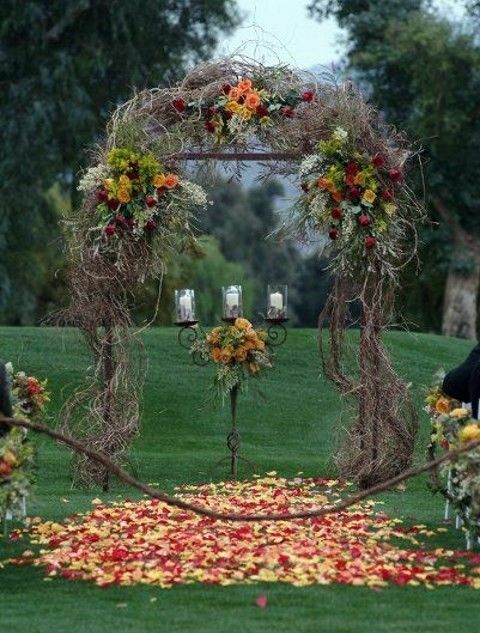 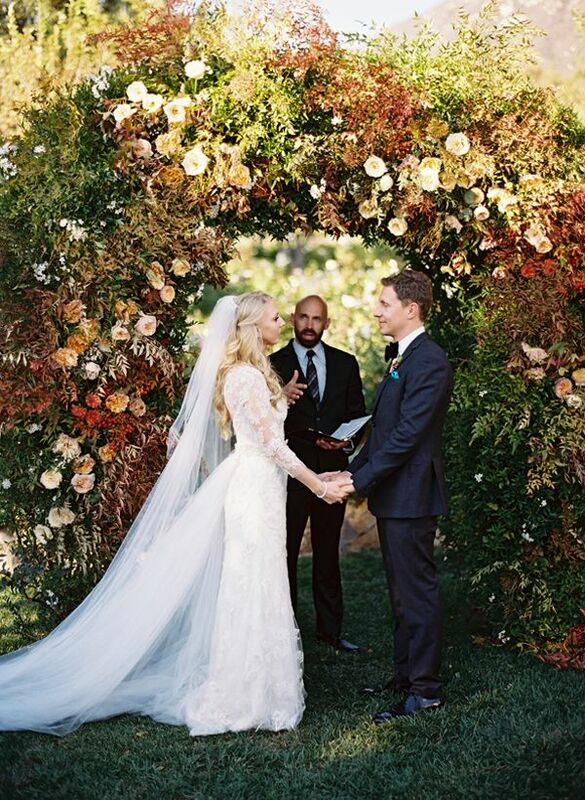 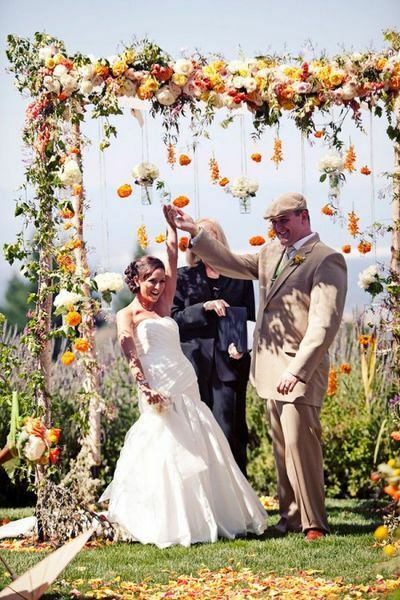 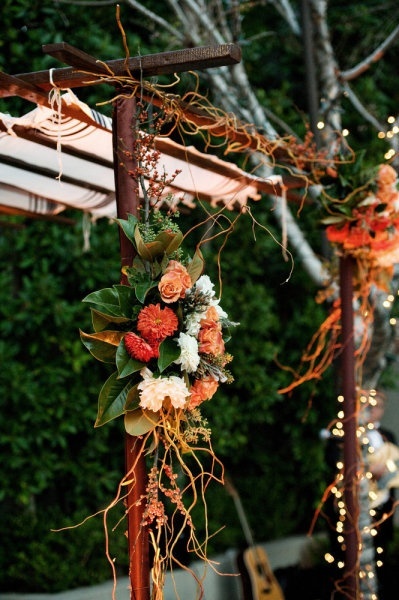 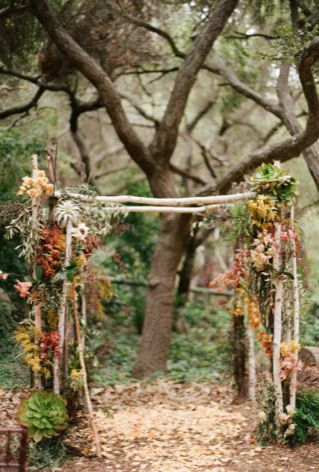 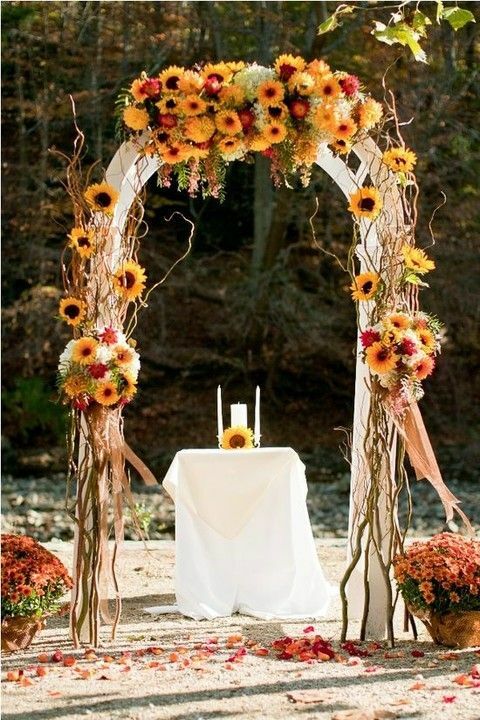 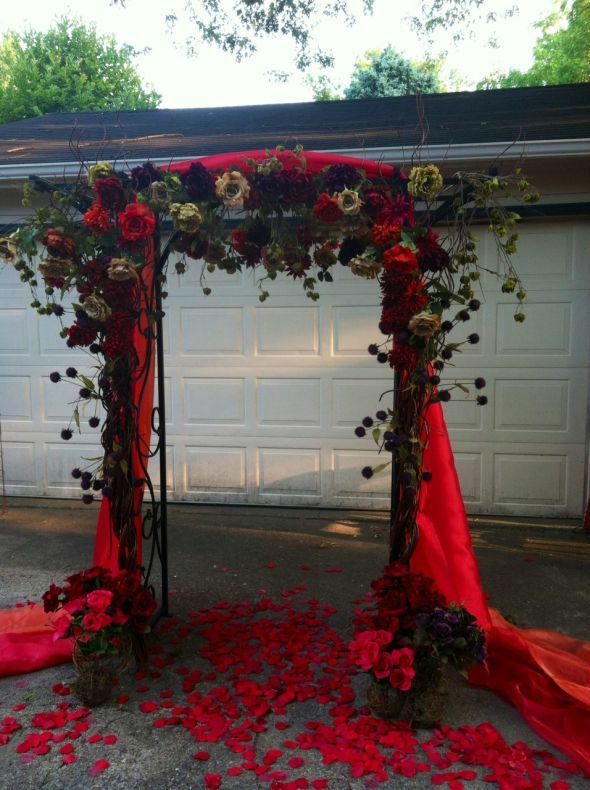 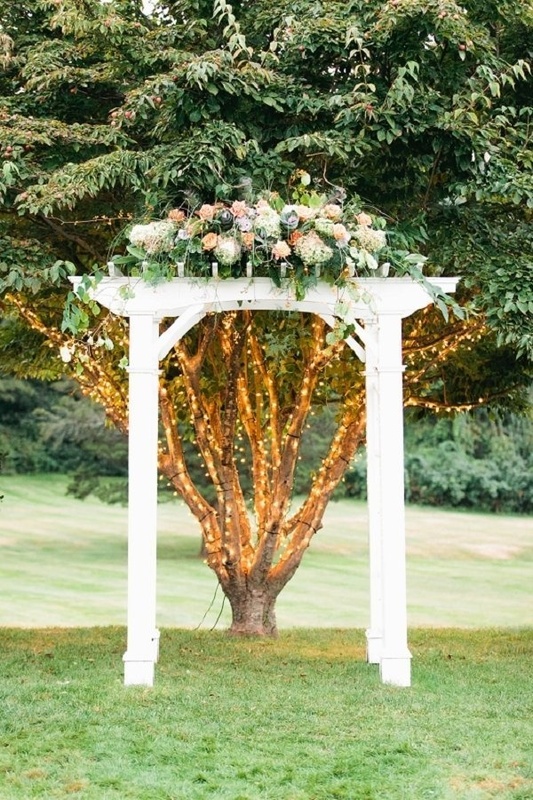 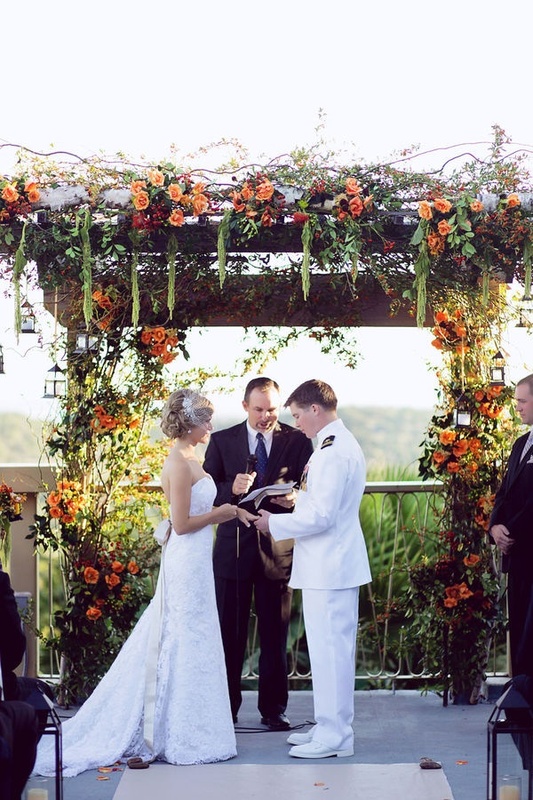 For those who are getting ready for an outdoor fall affair I’ve rounded up beautiful floral arches. 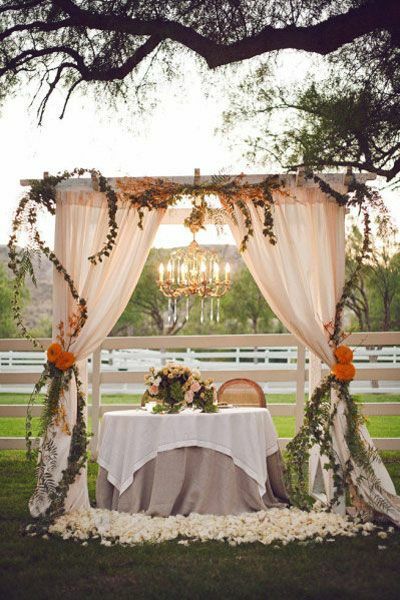 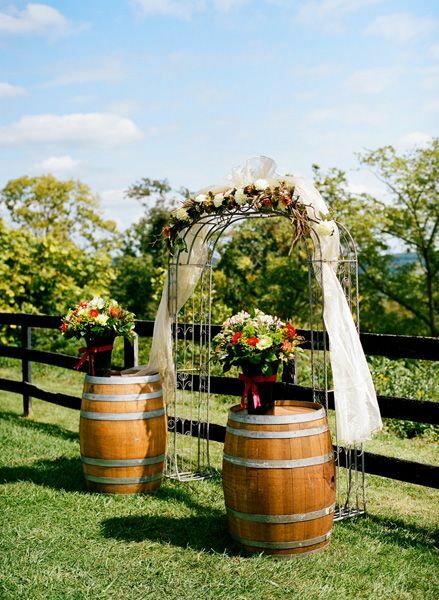 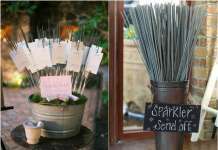 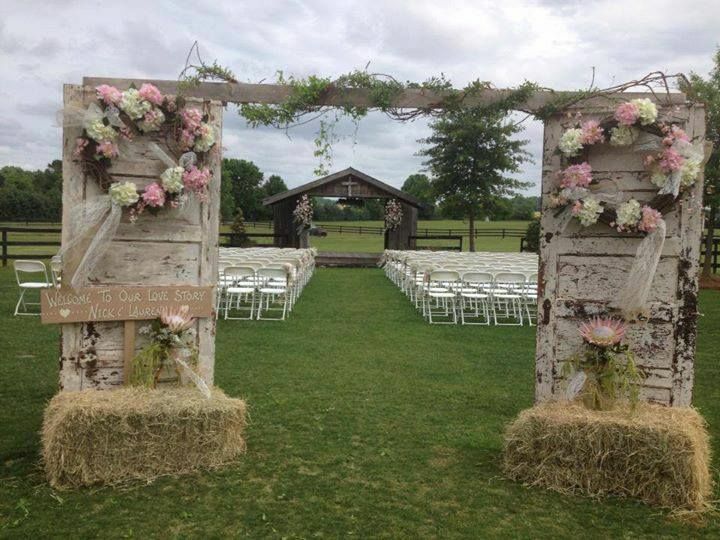 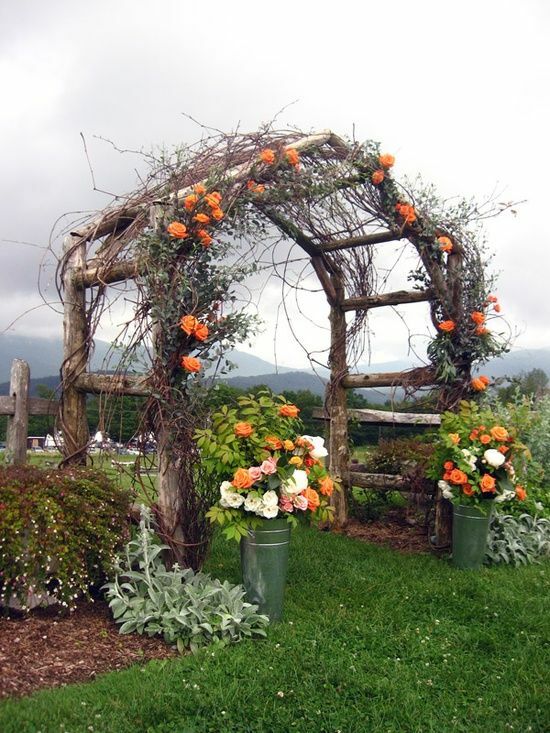 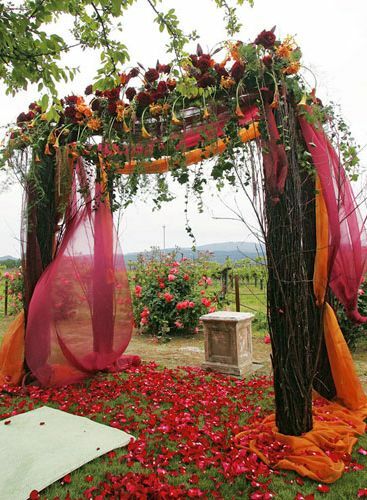 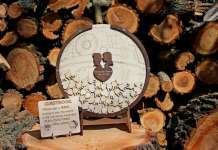 You can order a wooden or a forged arch and then decorate it according to your taste: with burlap, natural flowers in fall colors, berries and even fruit and vegetables for a rustic look. 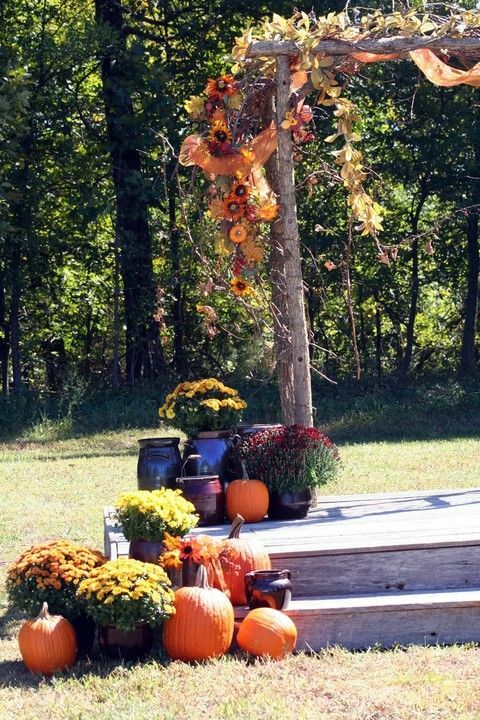 Fall is a very bold season, so rock fall colors, they are amazing! 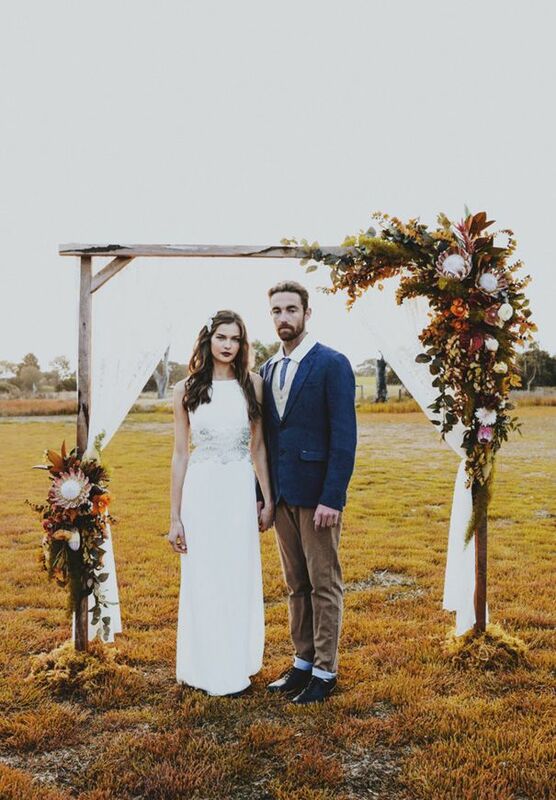 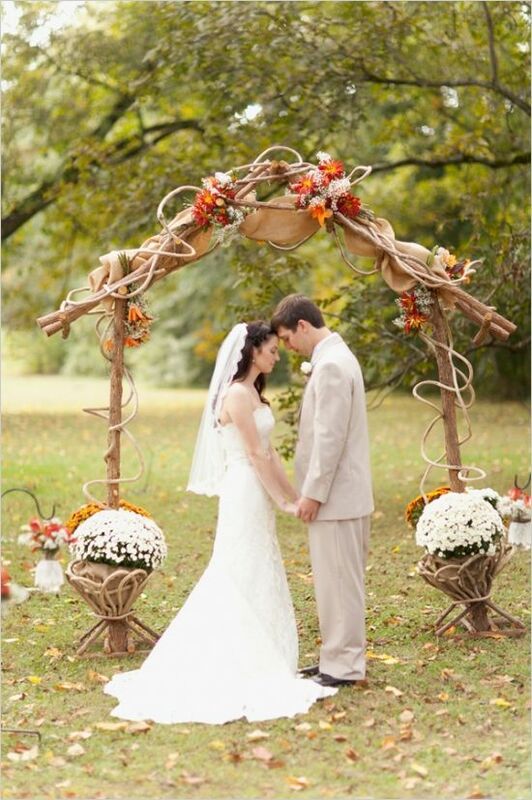 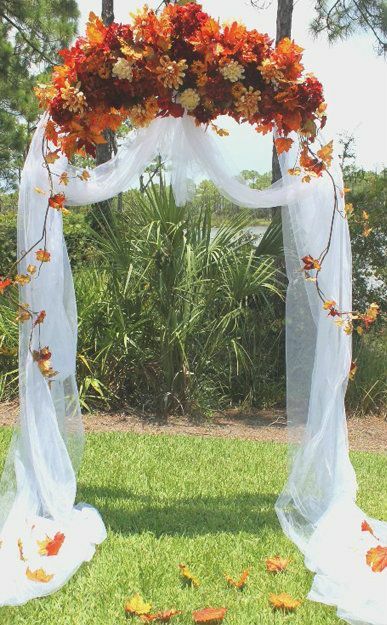 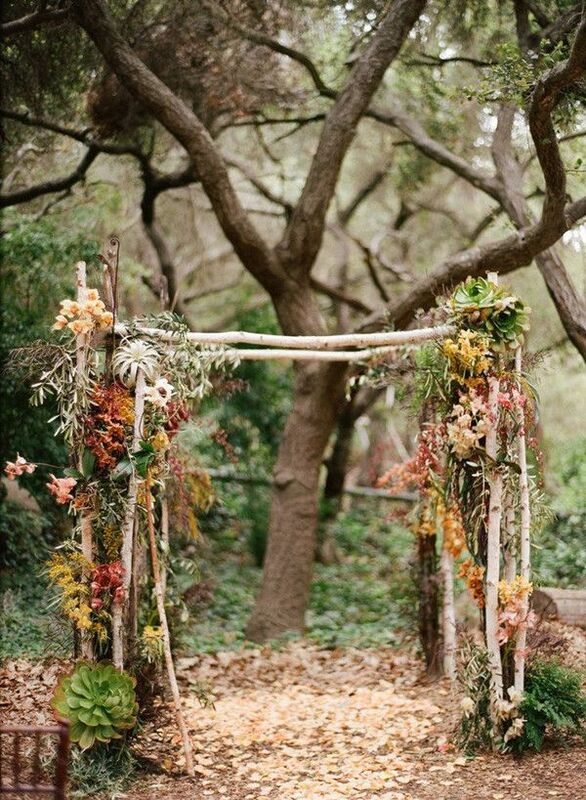 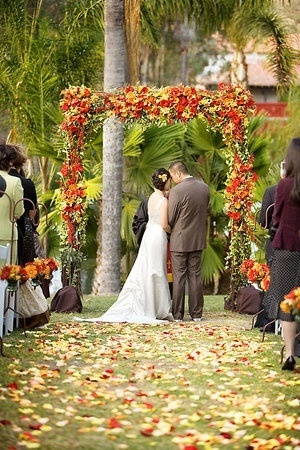 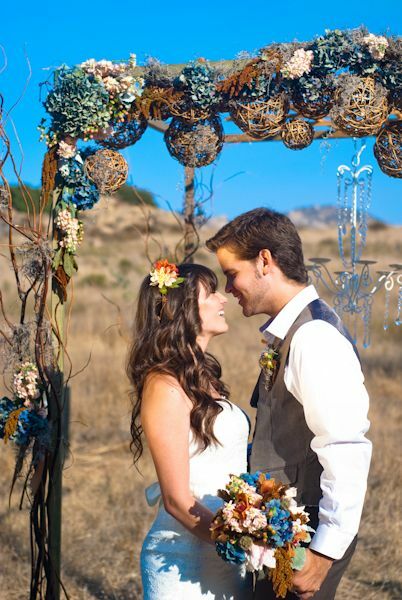 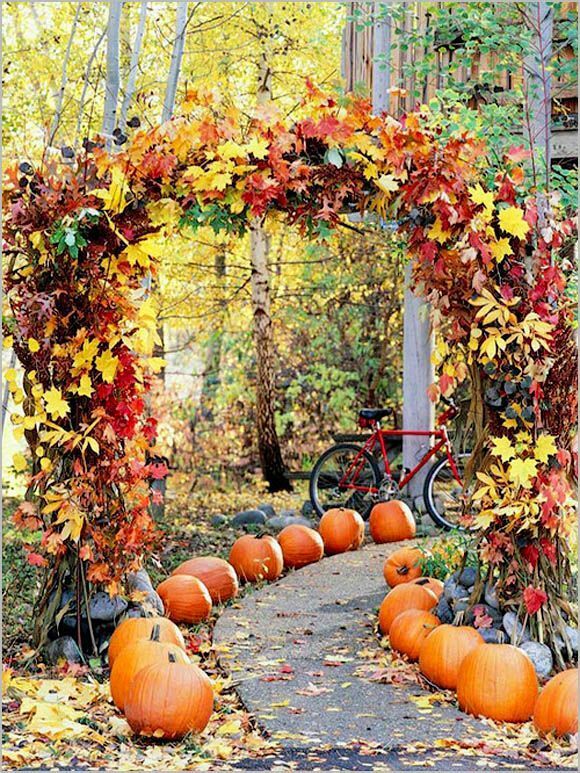 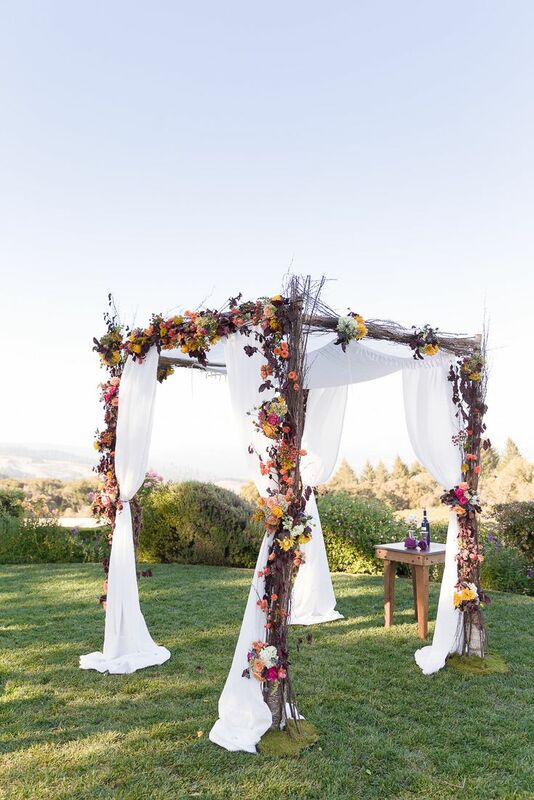 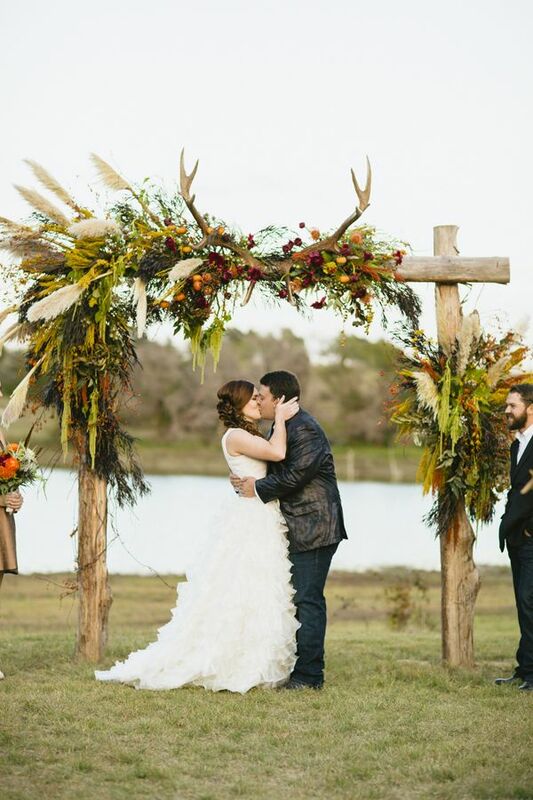 Don’t forget colorful fall leaves, they are the most popular decoration for a fall wedding and will look fantastic on your beautiful arch.